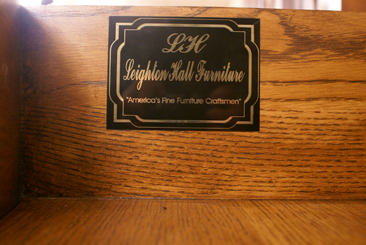 Welcome to Leighton Hall Furniture, America’s Fine Furniture Craftsmen. 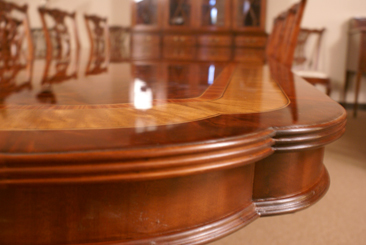 We design, manufacture, wholesale, and retail traditional fine furniture, specializing in dining room and executive office pieces. 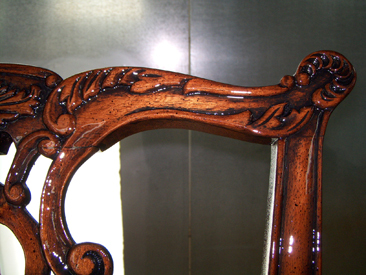 We are entering our third decade in the antique and fine furniture business. During that time we have built a tradition of providing the highest quality furniture to our customers. We are a small, family-owned business. Our furniture can be found in major government executive offices, celebrities’ homes, and some of the nation’s major business and law firms. We have authorized dealers in the U.S., Canada and South America. 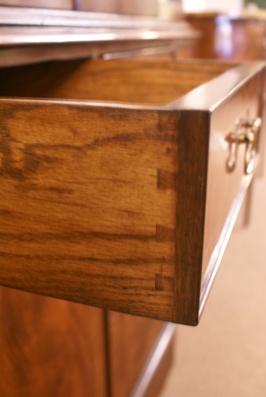 We make some of America’s finest furniture by paying attention to the smallest details. Unlike the large furniture companies, we are a small, centralized operation. We do not mass produce furniture, but make our product in small quantities which allows us to pay greater attention to our product. Our tables and casegoods are made of the highest quality swirly-crotch mahogany, tulipwood, primavera, Santos rosewood, satinwood, walnut, cherry and yew wood veneers and selected solids. The President of our company personally chooses many of the veneers and is actively involved in the design and quality control process. Each one of our tables receives individual attention and is assigned a unique serial number. 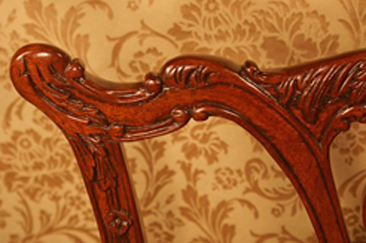 Our furniture has the official “Leighton Hall Furniture” emblem placed on each piece. Our President and primary designer is inspired by antiques and fine furniture in some of the finest homes and galleries in Charleston, Savannah, New Orleans, Newport and various English estates. Our pieces are adaptations of furniture from 18th and early 19th century English and American furniture styles such as Chippendale, Hepplewhite and Sheraton. Options We offer a variety of options for our tables and chairs. Pieces (we will also sell pedestals, table tops, and other pieces).